Running a household requires some knowledge; not surprisingly, it wasn’t considered the job for everyone some centuries ago. You need a bit of skill with everything; how to manage the finances for instance, when to pay the bills, how to carry on with an interior makeover, and most importantly, how to do a bit of maintenance and repairs. The last particularly comes in handy when you want to save up on hiring professionals. The more you engage in DIY projects, the more you can get to know how to handle tools, so starting up your own toolkit is advisable. Wanting to make the most of tool collecting, as well as the purchasing, it’s advisable to get versatile, cost-efficient ones, like the grease guns. 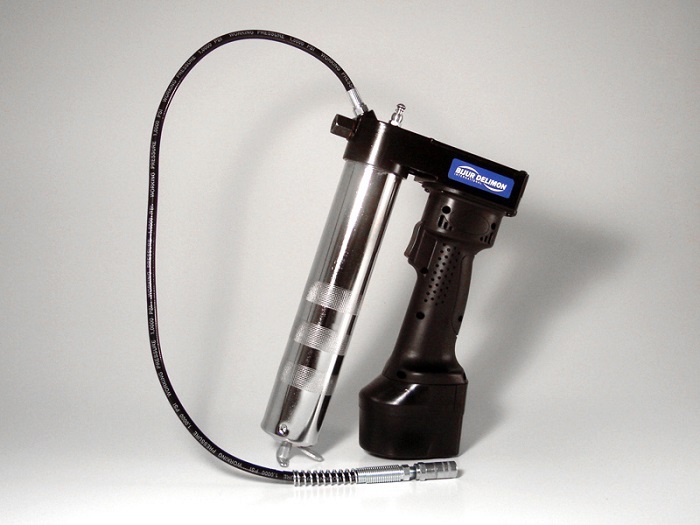 Designed to be of help with applying lubricant only where it’s needed on grease fittings, thus preventing waste of grease, the grease guns come in a variety: from hand-powered, and air-powered, to hand-powered without a trigger mechanism, and mini, suitable for different types of lubricants. Now then, everyone knows a grease gun is the ideal help in factories, where the equipment and machinery depend on a grease gun to get the lubricant over their fittings – something that prolongs their durability. Yet, it’s not only the case with commercial use, but home use as well. Take the garage; it’s the part of your home where lubricating the fittings of vehicles, from the heavy duty trucks, to the light, utility vehicles, is considered principal maintenance, but did you know it’s also perfect for use with a machine considered one of the basics in a household – the lawn mower? The design of the machine doesn’t make it easy to carry out greasing by hand, as the grease fittings are located in the back of the spindle, which in turn is covered up with the removable belt guard. To make things worse, there are more hard-to-reach parts, at the bottom area, such as the fitting, i.e. the deck pedal lift that’s under the pedal, as well as the axle pivot in the front part. In other words, you can’t do it without a grease gun. The chain saw’s bearings are also the bits that require the lubrication of a grease gun. Due to the size of the holes on the guide bars, a smaller specialised type of grease gun is ideal, designed with a piercing tip. Having in mind the lubricant lasts as long as long as the chain saw’s fuel, it’s advisable to lubricate every time you fuel up. Make sure you do your search well, so you buy the adequate type of grease gun with the fittings or bearings you intend to lubricate, and find out how to properly load and clean it.